If you have never heard of Maxine’s you must have been hiding under a rock because the Maxine’s range of products is one of the most popular female orientated supplement lines in Australia. Maxine’s XT-Burn is one of the more recent additions to the range. It’s an energy-providing thermogenic fat burning drink intended to help women improve their training sessions and burn extra stores of fat. Maxine’s XT-Burn and other products in the range are designed to be used by women who are taking part in Maxine’s 12 week body transformation challenge. The system provides meal plans and other dietary and exercise advice. There are two plans, a basic (free) plan and premium one. At AUS$ 150, the premium plan is not cheap, but it’s its good to see a company like Maxine’s that is encouraging people to take a more responsible approach to weight loss rather than hoping to find a supplement that will do all the work for them. What is Maxine’s XT-Burn and How Does it Work? Women considering using Maxine’s XT-Burn to further their journey towards weight loss need to bear in mind diet and exercise are a key part of the system and Maxine’s XT-Burn contains focus-enhancers and energy boosters to help improve exercise sessions. So although the formulation is also designed to help the body burn its stores of fat, good results are only likely when people stick with the program and use the formulation in the intended way. Acetyl L-Carnitine (1600mg): An amino acid that boast a number of health benefits but is included here to help “shunt” fatty acids from the blood into the muscle tissue and provide energy levels with a boost. Conjugated Linoleic Acid (900mg): Often just refereed to as CLA, conjugated linoleic acid is usually obtained from safflower oil and is often used as a metabolism booster and fat burner. Some studies suggest the ingredient can also help prevent the loss of muscle tissue while dieting. Garcinia Cambogia Extract (400mg): A tropical fruit extract that provides the fat blocking chemical Hydroxy Citric Acid (HCA). Its often considered powerful enough to be used as a stand-alone ingredient, but good results require the ingredient contain at least 60% HCA. The amount provided here is not divulged. African Mango Seed Extract (200mg): A popular super fruit ingredient that has a good reputation for supporting fat loss and may also be useful for lowering cholesterol levels. Raspberry Ketones (200mg): The compound that provides raspberries with the smell we all know and love. 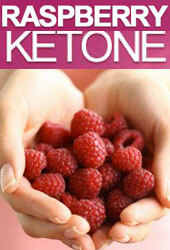 Raspberry ketones is a very popular fat burning ingredient that may provide appetite suppression as well. It is also an expensive ingredient to refine, so many manufacturers use synthetic versions that are cheap to produce, but lacking in power. The version used here is not specified. Green Tea Extract (200mg): A scientifically proven fat burner that also provides antioxidants that can boost the health. Green Coffee Extract (150mg): The active ingredient in green coffee bean extract is chlorogenic acid. It appears to support weight loss by reducing the amount of carbohydrates the body can absorb and encouraging thermogenic fat burning. L-Taurine (300mg): An amino acid that is often added to energy drinks and may help improve athletic performance. D-Glucuronolactone (300mg): Some sources state D-Electronegative may have value as an energy provider, but the ingredient has never been sufficiently researched. Dandelion Root Extract (200mg): An ingredient that is useful for providing a detox. Dandelion root is also a diuretic that can reduce the amount of water the body retains. This may mislead people into believing their level of fat loss is better than it is. Guarana Seed Extract (200mg): A fruit extract that provides a slow release of caffeine and is good for providing long-lasting energy and improved mental focus. Caffeine (50mg): An extra dose of caffeine. The amount included here is less than that provided by half a cup of coffee. Usage Instructions – Women who are using the product in conjunction with Maxine’s Challenge are advised to use Maxine’s XT-Burn in the way the plan recommends. People who are not taking part in the challenge are advised to take take the shake 15-20 minutes before workouts. It is also permissible to take the shake at other times extra energy is required. The shake is made by combining one (6g) scoop of Maxine’s XT-Burn with 300-400ml of water. Customer feedback is hard to locate, but the reviews we managed to find suggest users agree the product is easy to use, tastes pretty good, and works well when used in conjunction with diet and exercise. 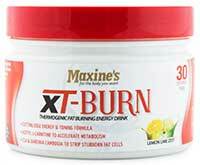 Maxine’s XT-Burn is not suitable for anyone who is under 15-years of age or for pregnant or nursing mothers. People who have existing health problems or are taking medication should check with a qualified healthcare professional before using Maxine’s XT-Burn or any other brand of dietary supplement. Maxine’s products are available via a number of popular online stores including MuscleMeds and SupplementMart.com.au. The price may vary very slightly from one supplier to the next, but it is usually possible to purchase a (30 serving) tub for around AUD$ 49 and the flavour options are Lemon Lime and Strawberry Kiwi. Although the formulation looks good, the questions over the garcinia cambogia HCA percentage and type of raspberry ketones used are somewhat of an issue. We believe the product may work well when used in the recommended manner, but Maxine’s XT-Burn is a supplement that is best used by dieters who are committed to dieting hard and working out with an intensity some women may not be able to maintain. 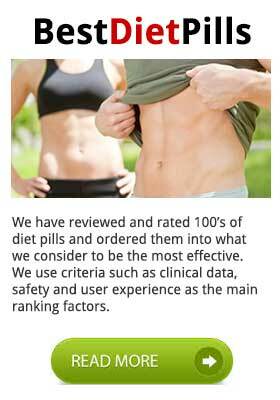 Our recommendation is for a capsule based fat burner called PhenQ. 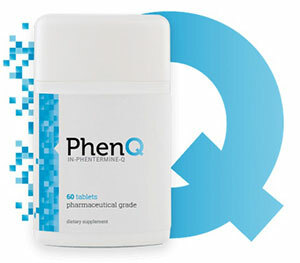 PhenQ is not just a fat burner it can also prevent a portion of fat from being digested from the food you eat – it is also great for suppressing your appetite. PhenQ is accompanied by a full 60 day money back refund policy and ships without a delivery cost anywhere in the world.